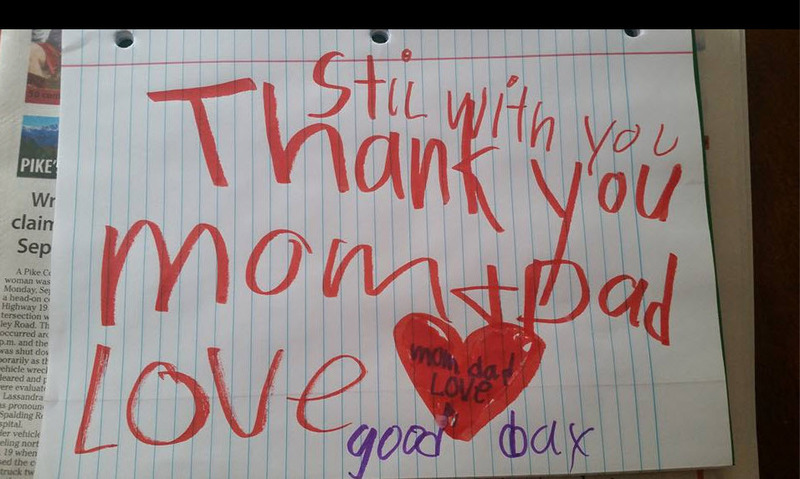 A Pike County Georgia mother found a sweet, yet heartbreaking note from her young son who recently lost a battle to a rare brain infection. According to WSB-TV the boy had been in critical condition at Children’s Healthcare of Atlanta. His parents say that the child’s infection was caused by the amoeba Balamuthia mandrillaris. It is still unclear how Leland came in contact with the amoeba. The boy’s parents have set up a Go Fund Me page to help offset the costs of the medical bills.